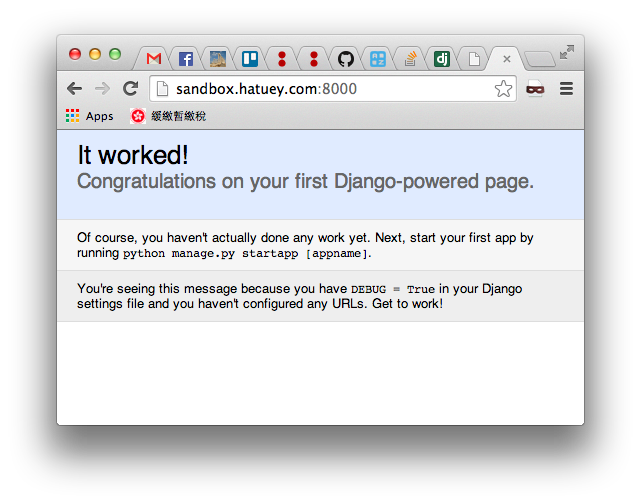 DJango – Installation and create a simple Django project | Eureka! Assume you have Python 2.7.8 and virtualenv installed on an Ubuntu. Refer to the following references if they are not yet ready. 1. Create a new virtualenv. 2. Switch to that newly created virtualenv. 5. Scaffold a new project called django_poc. Pingback: Django – Setup Django REST framework | Eureka!